At the Network and Distributed Systems Security Symposium in San Diego today we’re presenting Thunderclap, which describes a set of new vulnerabilities involving the security of computer peripherals and the open-source research platform used to discover them. This is a joint work with Colin Rothwell, Brett Gutstein, Allison Pearce, Peter Neumann, Simon Moore and Robert Watson. We look at the security of input/output devices that use the Thunderbolt interface, which is available via USB-C ports in many modern laptops. Our work also covers PCI Express (PCIe) peripherals which are found in desktops and servers. Such ports offer very privileged, low-level, direct memory access (DMA), which gives peripherals much more privilege than regular USB devices. If no defences are used on the host, an attacker has unrestricted memory access, and can completely take control of a target computer: they can steal passwords, banking logins, encryption keys, browser sessions and private files, and they can also inject malicious software that can run anywhere in the system. We studied the defences of existing systems in the face of malicious DMA-enabled peripheral devices and found them to be very weak. The primary defence is a component called the Input-Output Memory Management Unit (IOMMU), which, in principle, can allow devices to access only the memory needed to do their job and nothing else. However, we found existing operating systems do not use the IOMMU effectively. To begin with, most systems don’t enable the IOMMU at all. Windows 7, Windows 8, and Windows 10 Home and Pro didn’t support the IOMMU. Windows 10 Enterprise can optionally use it, but in a very limited way that leaves most of the system undefended. Linux and FreeBSD do support using the IOMMU, but this support is not enabled by default in most distributions. MacOS is the only OS we studied that uses the IOMMU out of the box. This state of affairs is not good, and our investigations revealed significant further vulnerabilities even when the IOMMU is enabled. We built a fake network card that is capable of interacting with the operating system in the same way as a real one, including announcing itself correctly, causing drivers to attach, and sending and receiving network packets. To do this, we extracted a software model of an Intel E1000 from the QEMU full-system emulator and ran it on an FPGA. Because this is a software model, we can easily add malicious behaviour to find and exploit vulnerabilities. We found the attack surface available to a network card was much richer and more nuanced than was previously thought. By examining the memory it was given access to while sending and receiving packets, our device was able to read traffic from networks that it wasn’t supposed to. This included VPN plaintext and traffic from Unix domain sockets that should never leave the machine. On MacOS and FreeBSD, our network card was able to start arbitrary programs as the system administrator, and on Linux it had access to sensitive kernel data structures. Additionally, on MacOS devices are not protected from one another, so a network card is allowed to read the display contents and keystrokes from a USB keyboard. Worst of all, on Linux we could completely bypass the enabled IOMMU, simply by setting a few option fields in the messages that our malicious network card sent. Such attacks are very plausible in practice. The combination of power, video, and peripheral-device DMA over Thunderbolt 3 ports facilitates the creation of malicious charging stations or displays that function correctly but simultaneously take control of connected machines. We’ve been collaborating with vendors about these vulnerabilities since 2016, and a number of mitigations have been shipped. We have also been working with vendors, helping them to use our Thunderclap tools to explore this vulnerability space and audit their systems for problems. MacOS fixed the specific vulnerability we used to get administrator access in macOS 10.12.4 in 2016, although the more general scope of such attacks remain relevant. More recently, new laptops that ship with Windows 10 version 1803 or later have a feature called Kernel DMA Protection for Thunderbolt 3, which at least enables the IOMMU for Thunderbolt devices (but not PCI Express ones). Since this feature requires firmware support, older laptops that were shipped before 1803 remain vulnerable. Recently, Intel committed patches to Linux to enable the IOMMU for Thunderbolt devices, and to disable the ATS feature that allowed our IOMMU bypass. These are part of the Linux kernel 5.0 which is currently in the release process. One major laptop vendor told us they would like to study these vulnerabilities in more detail before adding Thunderbolt to new product lines. More generally, since this is a new space of many vulnerabilities, rather than a specific example, we believe all operating systems are vulnerable to similar attacks, and that more substantial design changes will be needed to remedy these problems. We noticed similarities between the vulnerability surface available to malicious peripherals in the face of IOMMU protections and that of the kernel system call interface, long a source of operating system vulnerabilities. The kernel system call interface has been subjected to much scrutiny, security analysis, and code hardening over the years, which must now be applied to the interface between peripherals and the IOMMU. As well as asking vendors to improve the security of their systems, we advise users to update their systems and to be cautious about attaching unfamiliar USB-C devices to their machines – especially those in public places. We have placed more background on our work and a list of FAQs on our website, thunderclap.io. There, we have also open sourced the Thunderclap research platform to allow other researchers to reproduce and extend our work, and to aid vendors in performing security evaluation of their products. Thunderclap: Exploring Vulnerabilities in Operating System IOMMU Protection via DMA from Untrustworthy Peripherals A. Theodore Markettos, Colin Rothwell, Brett F. Gutstein, Allison Pearce, Peter G. Neumann, Simon W. Moore, Robert N. M. Watson. Proceedings of the Network and Distributed Systems Security Symposium (NDSS), 24-27 February 2019, San Diego, USA. There has been a lot of ‘fog of war’ regarding the alleged implantation of Trojan hardware into Supermicro servers at manufacturing time. Other analyses have cast doubt on the story. But do all the pieces pass the sniff test? In brief, the allegation is that an implant was added at manufacturing time, attached to the Baseboard Management Controller (BMC). When a desktop computer has a problem, common approaches are to reboot it or to reinstall the operating system. However in a datacenter it isn’t possible to physically walk up to the machine to do these things, so the BMC allows administrators to do them over the network. Crucially, because the BMC has the ability to install the operating system, it can disrupt the process that boots the operating system – and fetch potentially malicious implant code, maybe even over the Internet. The Bloomberg Businessweek reports are low on technical details, but they do show two interesting things. The first is a picture of the alleged implant. 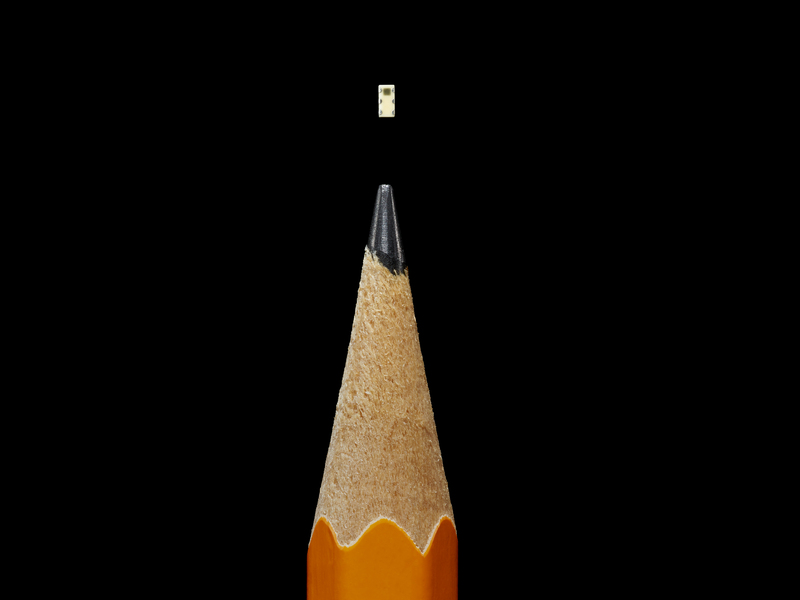 This shows a 6-pin silicon chip inside a roughly 1mm x 2mm ceramic package – as often used for capacitors and other so-called ‘passive’ components, which are typically overlooked. The other is an animation highlighting this implant chip on a motherboard. Extracting the images from this animation shows the base image is of a Supermicro B1DRi board. As others have noted, this is mounted in a spare footprint between the BMC chip and a Serial-Peripheral Interface (SPI) flash chip that likely contains the BMC’s firmware. Perhaps the animation is an artist’s concept only, but this is just the right place to compromise the BMC. SPI is a popular format for firmware flash memories – it’s a relatively simple, relatively slow interface, using only four signal wires. Quad SPI (QSPI), a faster version, uses six wires for faster transmission. The Supermicro board here appears to have a QSPI chip, but also a space for an SPI chip as a manufacturing-time option. The alleged implant is mounted in part of the space where the SPI chip would go. 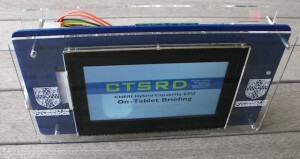 Limited interception or modification of SPI communication is something that a medium complexity digital chip (a basic custom chip, or an off-the-shelf programmable CPLD) could do – but not to a great extent. Six pins is enough to intercept the four SPI wires, plus two power. The packaging of this implant would, however, be completely custom. What can an implant attached to the SPI wires do? The BMC itself is a computer, running an operating system which is stored in the SPI flash chip. The manual for a MBI-6128R-T2 server containing the B1DRi shows it has an AST2400 BMC chip. The AST2400 uses a relatively old technology – a single-core 400MHz ARM9 CPU, broadly equivalent to a cellphone from the mid 2000s. Its firmware can come via SPI. I downloaded the B1DRi BMC firmware from the Supermicro website and did some preliminary disassembly. The AST2400 in this firmware appears to run Linux, which is plausible given it supports complicated peripherals such as PCI Express graphics and USB. (It is not news to many of us working in this field that every system already has a Linux operating system running on an ARM CPU, before power is even applied to the main Intel CPUs — but many others may find this surprising). It is possible that the implant simply replaces the entire BMC firmware, but there is another way. In order to start its own Linux, AST2400 boots using the U-Boot bootloader. I noticed one of the options is for the AST2400 to pick up its Linux OS over the network (via TFTP or NFS). If (and it’s a substantial if) this is enabled in the AST2400 bootloader, it would not take a huge amount of modification to the SPI contents to divert the boot path so that the BMC fetched its firmware over the network (and potentially the Internet, subject to outbound firewalls). Once the BMC operating system is compromised, it can then tamper with the main operating system. An obvious path would be to insert malicious code at boot time, via PCI Option ROMs. However, after such vulnerabilities came to light, defenses have been increased in this area. But there’s another trick a bad BMC can do — it can simply read and write main memory once the machine is booted. The BMC is well-placed to do this, sitting on the PCI Express interconnect since it implements a basic graphics card. This means it potentially has access to large parts of system memory, and so all the data that might be stored on the server. Since the BMC also has access to the network, it’s feasible to exfiltrate that data over the Internet. So this raises a critical question: how well is the BMC firmware defended? The BMC firmware download contains raw ARM code, and is exactly 32MiB in size. 32MiB is a common size of an SPI flash chip, and suggests this firmware image is written directly to the SPI flash at manufacture without further processing. 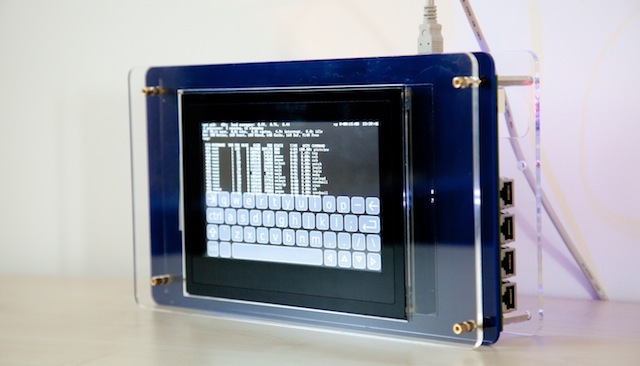 Additionally, there’s the OpenBMC open source project which supports the AST2400. From what I can find, installing OpenBMC on the AST2400 does not require any code signing or validation process, and so modifying the firmware (for good or ill) looks quite feasible. Where does this leave us? There are few facts, and much supposition. However, the following scenario does seem to make sense. Let’s assume an implant was added to the motherboard at manufacture time. This needed modification of both the board design, and the robotic component installation process. 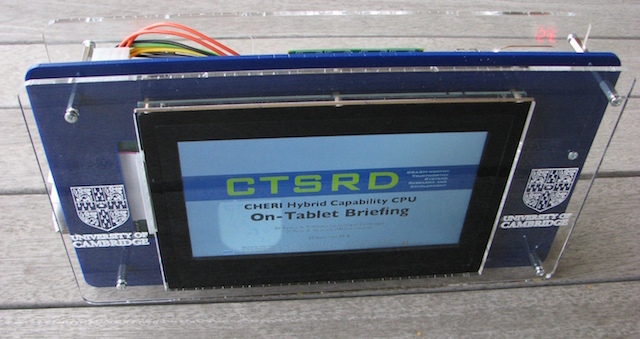 It intercepts the SPI lines between the flash and the BMC controller. Unless the implant was designed with a very high technology, it may be enough to simply divert the boot process to fetch firmware over the network (either the Internet or a compromised server in the organisation), and all the complex attacks build from there — possibly using PCI Express and/or the BMC for exfiltration. If the implant is less sophisticated than others have assumed, it may be feasible to block it by firewalling traffic from the BMC — but I can’t see many current owners of such a board wanting to take that risk. So, finally, what do we learn? In essence, this story seems to pass the sniff test. But it is likely news to many people that their systems are a lot more complex than they thought, and in that complexity can lurk surprising vulnerabilities. Dr A. Theodore Markettos is a Senior Research Associate in hardware and platform security at the University of Cambridge, Department of Computer Science and Technology. In this thesis I provide a detailed presentation of template attacks, which are considered the most powerful kind of side-channel attacks, and I present several methods for implementing and evaluating this attack efficiently in different scenarios. These contributions may allow evaluation labs to perform their evaluations faster, show that we can determine almost perfectly an 8-bit target value even when this value is manipulated by a single LOAD instruction (may be the best published results of this kind), and show how to cope with differences across devices, among others. We’re advertising for four people to join the security group from October. The first three are for two software engineers to join our new cybercrime centre, to develop new ways of finding bad guys in the terabytes and (soon) petabytes of data we get on spam, phish and other bad stuff online; and a lawyer to explore and define the boundaries of how we share cybercrime data. The fourth is in Security analysis of semiconductor memory. Could you help us come up with neat new ways of hacking chips? We’ve invented quite a few of these in the past, ranging from optical fault induction through semi-invasive attacks generally. What’s next? This year, we presented two papers at RESoLVE 2012 relating to the structure of operating systems and hardware, one focused on CPU instruction set security features out of our CTSRD project, and another on efficient and reconfigurable communications in data centres out of our MRC2 project. I’m pleased to announce the Call for Papers for RESoLVE 2013, a workshop (co-located with ASPLOS 2013) that brings together researchers in both the OS and language level virtual machine communities to exchange ideas and experiences, and to discuss how these separate layers can take advantage of each others’ services. This has a particular interest to the security community, who both want to build, and build on, security properties spanning hardware protection (e.g., VMs) and language-level protection. Today’s applications typically target high-level runtime systems and frameworks. At the same time, the operating systems on which they run are themselves increasingly being deployed on top of (hardware) virtual machines. These trends are enabling applications to be written, tested, and deployed more quickly, while simplifying tasks such as checkpointing, providing fault-tolerance, enabling data and computation migration, and making better, more power-efficient use of hardware infrastructure. However, much current work on virtualization still focuses on running unmodified legacy systems and most higher-level runtime systems ignore the fact that they are deployed in virtual environments. The workshop on Runtime Environments, Systems, Layering, and Virtualized Environments (RESoLVE 2013) aims to brings together researchers in both the OS and language level virtual machine communities to exchange ideas and experiences and to discuss how these separate layers can take advantage of each others’ services.